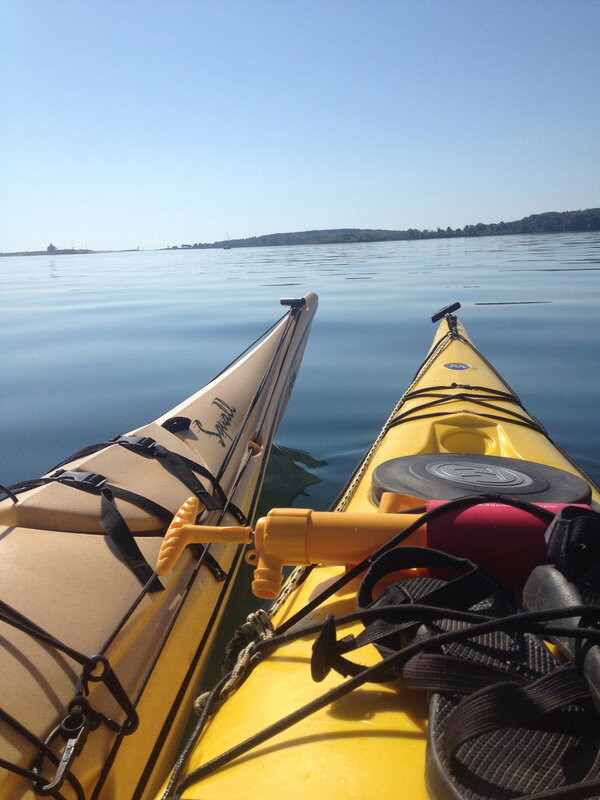 Every year a group of friends join up and kayak out to Jewel Island, ME in the Casco Bay. This year the bunch of us couldn't get our schedules together till the very end of September. We were taking a chance in weather this late in the season for we could of ended up with a very cold and windy trip. What did we end up with? Highs in the 80's!! The most perfect forecast. My excitement for this trip was through the roof. I packed my paints and phone to make sure i could capture all the amazing moments. Two friends couldn't paddle till Sunday, so only one friend and I paddled our way on Saturday out to the annual location on Jewel Island. As we approached from around the backside through some choppy waves and landed on the beach we came to realize our special spot had been taken. Large coolers, loud boats, and many wet dogs left a distaste in our eyes that we didn't have a desire to stick around for the night. 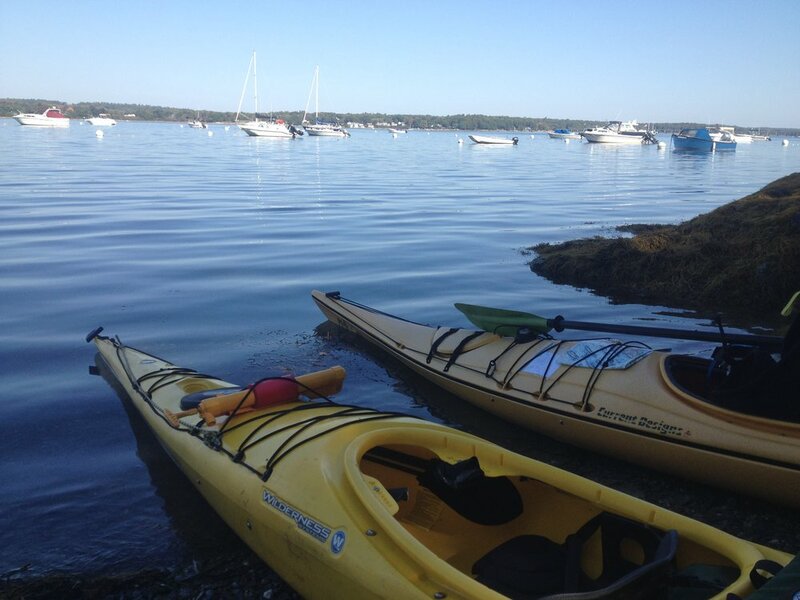 We came to the agreement to paddle to Bangs Island that we knew was part of the Maine Island Trail Association. We landed on the quiet island and set up camp. Utilizing my phone to contact the rest of the group, the message "low battery" popped up. To my disappointment, something sucked the juice out of my phone. The most pristine day and evening and I couldn't capture any of it. This trip had challenged us all with changing our annual location and my frustrations of having no camera. However, after many laughs and enjoyable moments I came to realize that every moment I captured, by just being present would be forever captured in my mind. I don't need to utilize the camera to make sure I am absorbing the beauty around me. It is absorbed by just being in the present and seeing everything as it is. I actually think I captured more images in my memory than i would have if i had my camera. 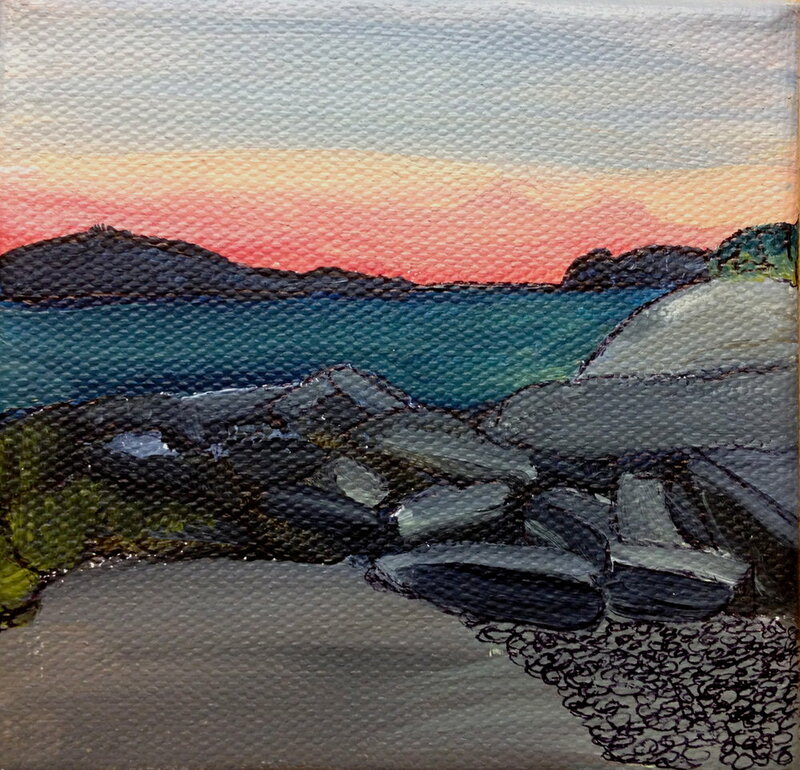 I didn't paint until the morning of the last day, but felt the energy of the most calm and beautiful days were captured in these moments.